If we look at the scientific literature, the long and short of it is, we do not have any study that tells us what the risk factors are for injuries in new runners. A relatively new study at British Journal of Sports Medicine looked at over 900 novice runners, classified their foot type, and put them all in a similar light weight shoe. They found that people with differing foot types all became injured at the same rate, except those that were considered “normal” were injured at a slightly higher rate. 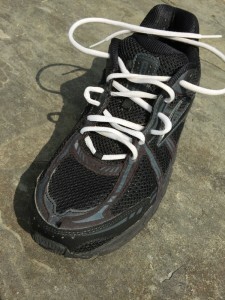 A study not long ago showed that runners who were assigned to motion control shoes were injured at a higher rate that those who selected a stability shoe. The study did indicate that assignments to shoes based solely on foot typing was not useful in preventing injury for uninjured runners. (The conclusion was limited to “moderate pronation” not severe pronation according to the author’s summary.) Of course studies like this make for good press. It is important to realize that these studies do not provide information on how to treat runners that are injured. All the studies over the years have shown that running is associated with running injuries as skiing is associated with skiing injuries. The studies themselves often vary widely in estimating the risk of running injury. Studies often define injury so differently that the most quoted figures define injury as occurring to between 25% and 65% of all runners over the course of a year. Even our election predictors can predict elections much closer than that. But this does not mean running is high risk especially while so many studies point out the benefit of running. I still believe that many injuries are caused by overuse and incorrect training. But sometimes correcting that alone is just not enough. It is important to be flexible in approaching running injuries and not have one simple solution or one simple belief system to fix all running injuries. Not every injury is fixed by strengthening your glutes, using a form roller, switching to a forefoot landing style or burning all of your running shoes. But all of the above can be helpful at times. Training, muscle strength, weakness and imbalance, relative lack of flexibility, your individual biomechanics, nutrition, sleep patterns, and running style, stride, contact, etc. 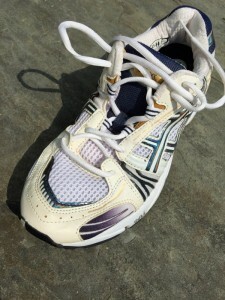 and your running shoes all come into play as factors to be examined while determining how to optimize your running, how to recover and how to avoid future injury. I still advise avoiding the “terrible toos” of too much, too soon, too often, too fast, with too little rest. While we don’t have conclusive advise that this advise works, it does not sound bad at all, and the advise itself comes with very little risk. (The study we are discussing) “…means we can’t predict what will cause an uninjured, new runner to become injured. It doesn’t tell us anything about how to cure any injury that you’ve developed. Or how to prevent an injury you’ve solved from coming back. 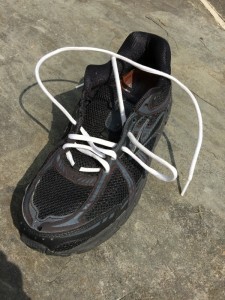 But yes, the advice that all flat feet should be in motion control shoes is wrong and so is the advice that all high arched feet should be in cushioned shoes. Now to round this off we just need to find some music that offers good, sound advice. Maybe something with scientifically proven advice…. or reflect on “Is It Too Much”? 3D printing has been used for prototypes for several years. This is said to be the first shoe in which 3D printing using Selective Laser Sintering technology (SLS) as part of the standard manufacturing process. Don’t look to be printing this out at home any time soon. It will be manufactured at the Nike production facilities. And it is not going to be individually customized at this time. There has been some discussion about the name, with one blogger saying that it seemed cool enough to come from Spike TV. For me it rang a bell: shoes, wear the shoes, run in the shoes, play foot ball in the shoes. Vapor. Hmm, vapor – vapor and shoes. Vapor wear. Vaporware. Vaporware is a term applied to software products that are announced and somehow never see the light of day. Wikipedia sums it up for those of you not familiar with the term Vaporware. I don’t believe I’ve seen Nike fail to deliver on an announced shoe, so this new Vapor Wear is likely to be worn and not be like vaporware. If you are ready to try your hand at 3D design but can’t afford a printer, I came across Shapeways, which offers tutorials and the ability to get started.